The new 5 GHz FX-9590 features the "Piledriver" architecture, is unlocked for easy overclocking and pave the way for enthusiasts to enjoy higher CPU speeds and related performance gains. 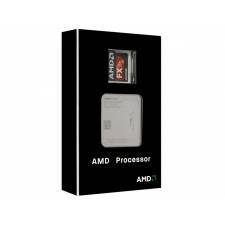 Additionally, these processors feature AMD Turbo Core 3.0 technology to dynamically optimize performance across CPU cores and enable maximum computing for the most intensive workloads. Still unlocked for your overclocking pleasure, and still the only 8-core desktop processor around. Unmatched multitasking and pure core performance with a new architecture. AMD FX Processors unlock maximum, unrestrained processing performance for extreme responsiveness you can see and feel. Experience unmatched multitasking and pure core performance with the industry's first 32nm 8-core desktop processor.